I think that the love that I get from dogs is incomparable. 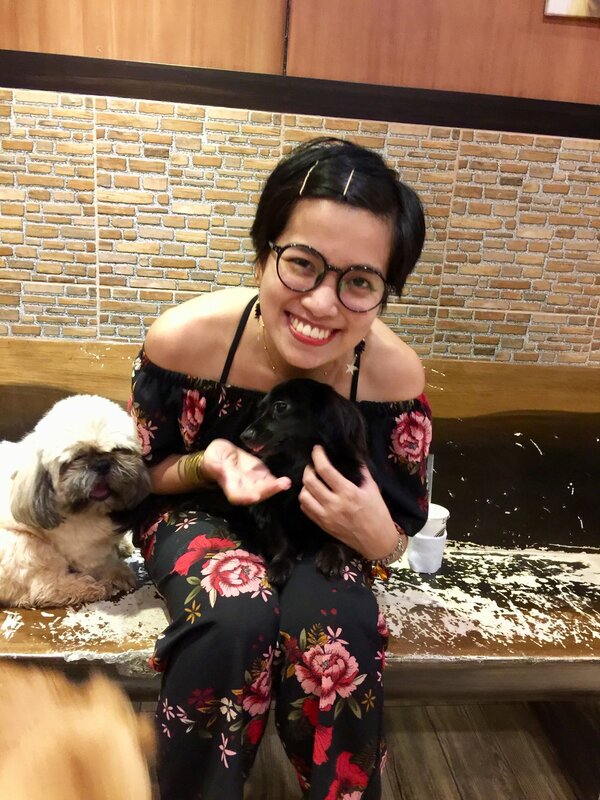 I visit Barkin Blends whenever I need some doggo hugs, as both of my parents are allergic to dogs. 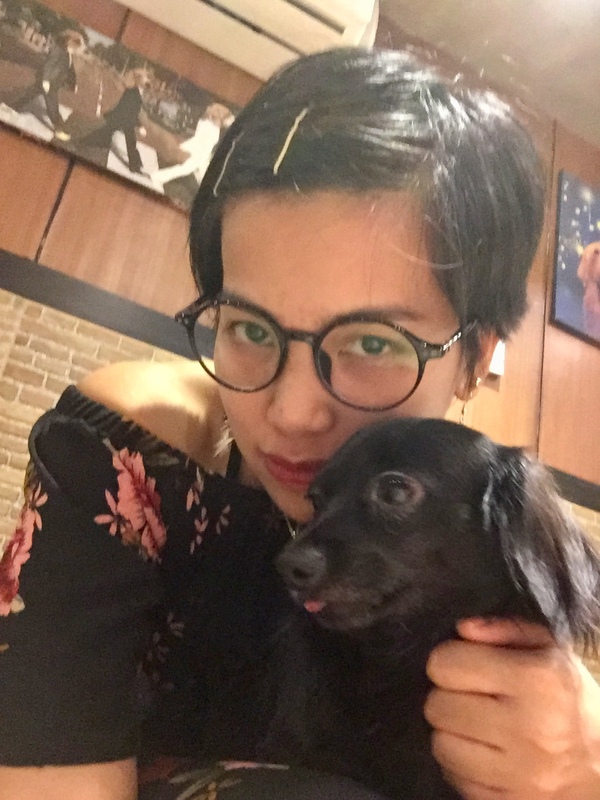 Nevertheless, I am glad that I have a cafe wherein I am allowed to play with several dogs and relax after a busy day or week. 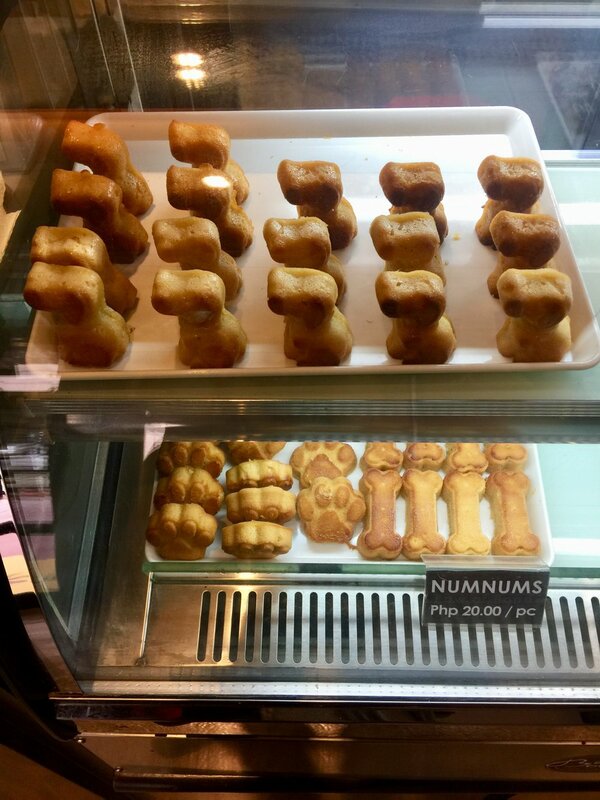 They have recently released their numnums, which are homemade treats for dogs. Guests may purchase them to-go for their pet dogs at home. I got to bond with my favorite dog Ella, a chiweenie! It was also my first time to try Barkin Blends' rock salt and cheese milk tea. It was delicious! 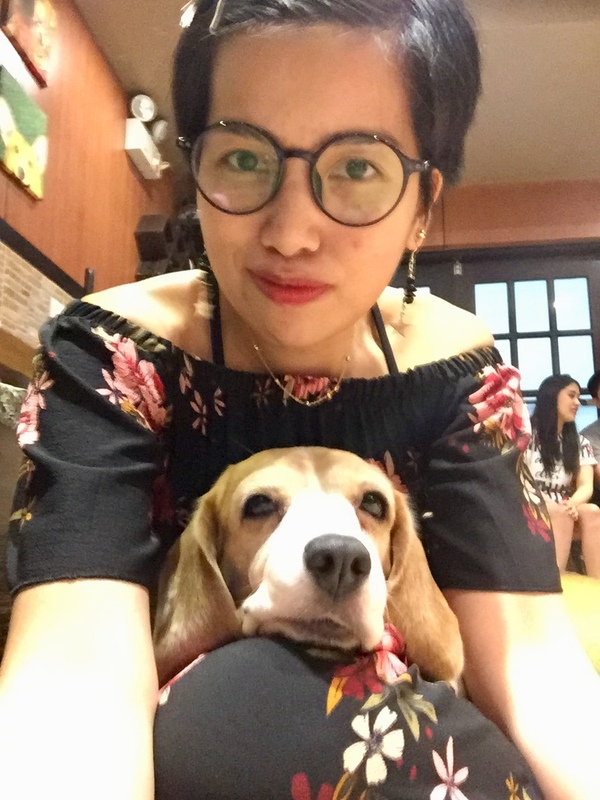 Psyche the beagle slept on my lap, and it caused me to feel sleepy too. It was picture-taking time with all of their big dogs. But at the end of the day, I still chose to cuddle Ella again. 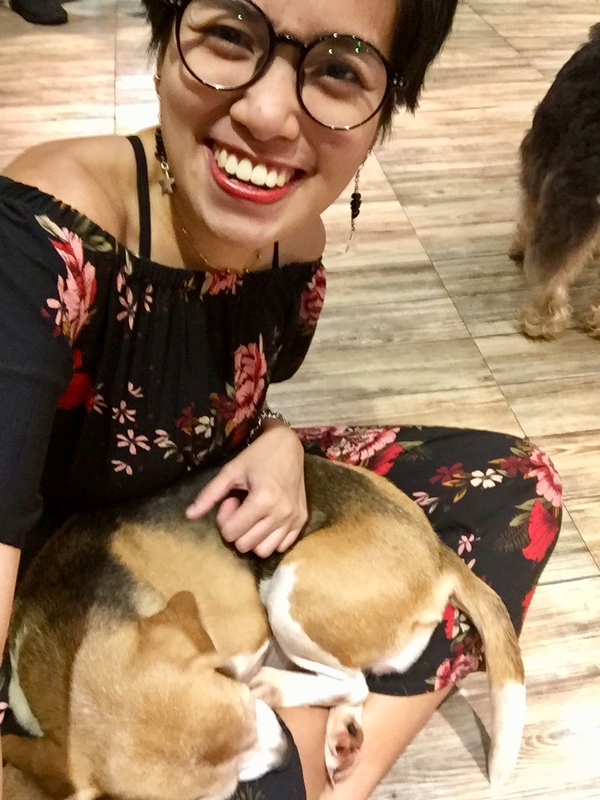 I will definitely be back for more doggo hugs and cuddles. 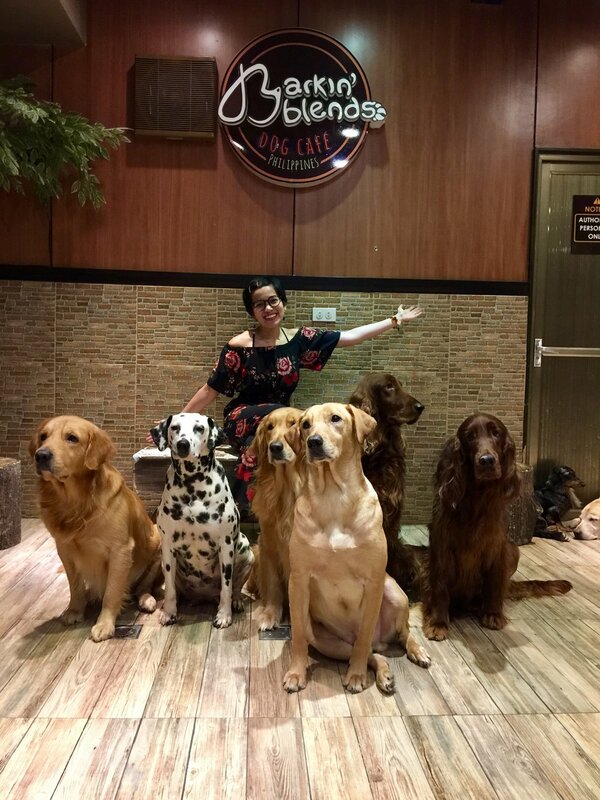 'Til next time, Barkin Blends!